Max2Play offers the perfect do-it-yourself solution for both music lovers and hi-fi enthusiasts. With Max2Play your Raspberry Pi becomes a personal multimedia player: Listen to thousands of internet radio stations and play music from your NAS, external hard drives or USB sticks - anytime, anywhere! Even simultaneously in all rooms, if desired. Max2Play supports a great variety of pre-installed and optional software players, including Kodi (formerly XBMC), MPD, SharePort, GMediaRender or Squeezelite for Logitech Media Server (also known as Squeezebox Server). In addition to the comfortable integration of various audio players, Max2Play also allows you to adjust the sound quality with a software equalizer or a low-pass filter according to your individual preferences. Max2Play allows you to output the same audio signal in different zones or multiple rooms simultaneously. You may, for example, play the same sound in both the kitchen and the living room. 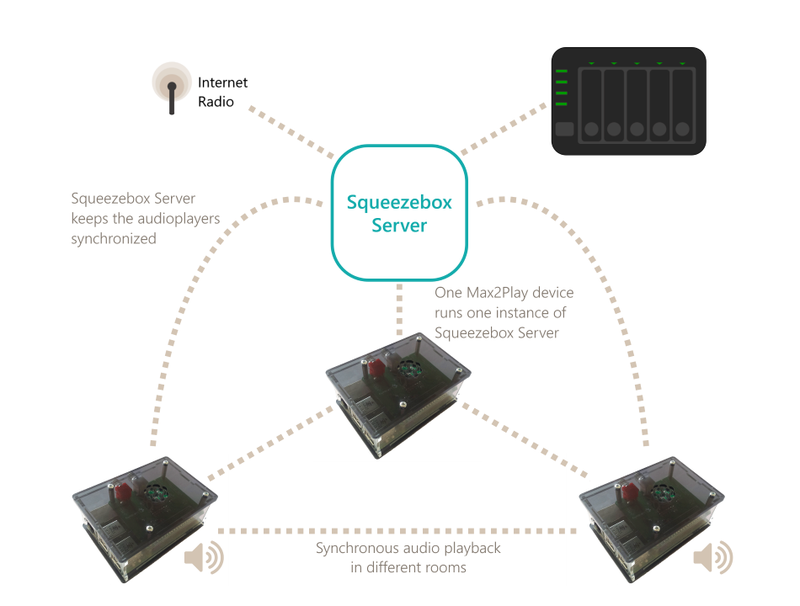 Thanks to its Multisqueeze plugin Max2Play is able to run several instances of Squeezelite audio players at the same time, so that smaller multizone audio setups can already be operated by only a Raspberry Pi. 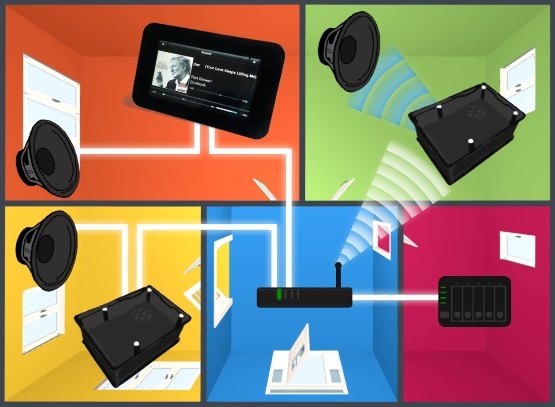 In this way, Max2Play lets you implement multiroom audio setups easily and cost effectively! 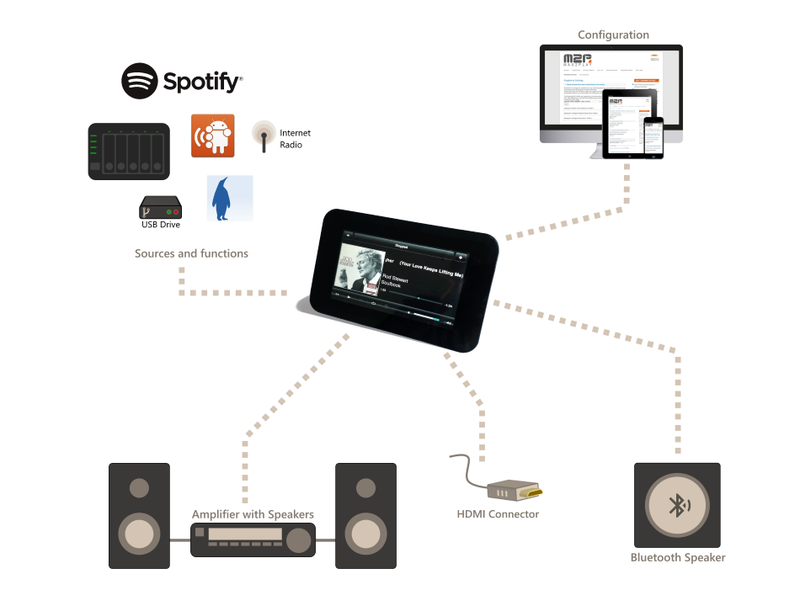 We will explain step by step the installation and operation of a multi-room audio system with Max2Play!